I love Culture in Aylmer! 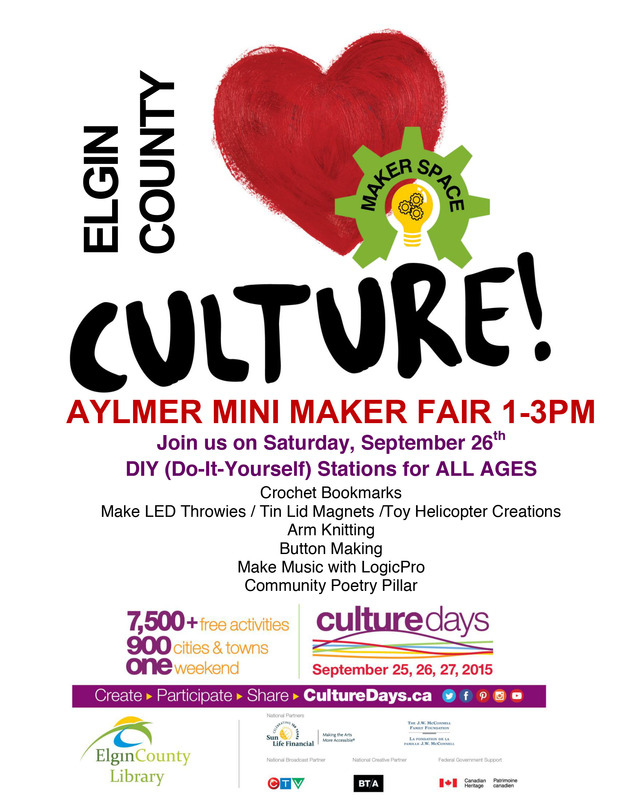 Our local Library is hosting a Mini Maker Activity event in downtown Aylmer on Saturday, September 26th. There will be activities for all ages with various DIY stations to move around and try. This looks like a fantastic workshop for families to reveal hidden talents and hobbies. This will be a fantastic hands on workshop in Elgin County. Love Culture in Aylmer! ← Something for everyone in Aylmer!